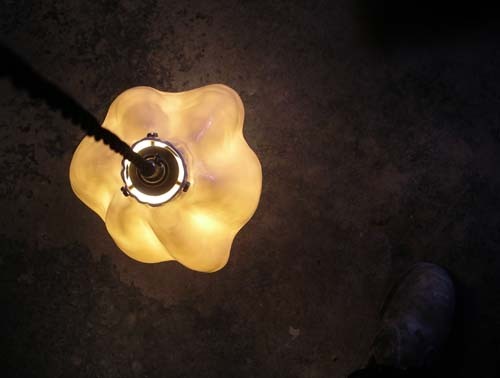 I was recently encouraged to enter The Hunters Hill Art Prize 2014 with one of my lotus pod lights. This was my first attempt at such an event an it was with great excitement that I received the Sculptural Functional Prize. A very encouraging sign for a completely new range and direction. 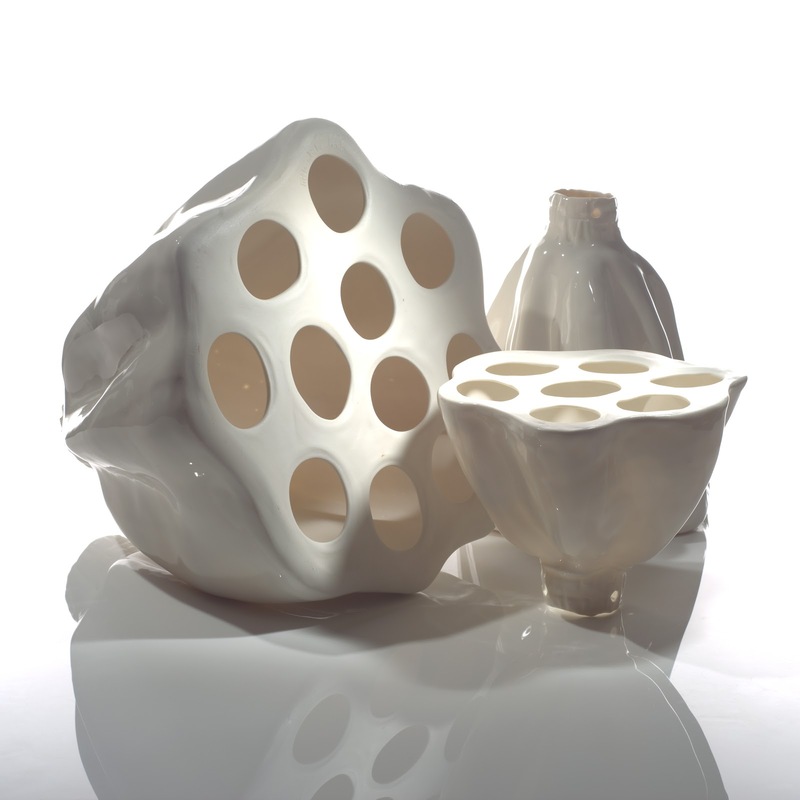 Five gently undulating shapes inspired by the lotus seed pod. Their organic shapes are reminiscent of ocean-dwelling creatures hovering beautifully in suspended clusters casting soft circles of light. The translucency of the porcelain allows a gentle light through, which is contrasted by the flooding light from the seed openings. 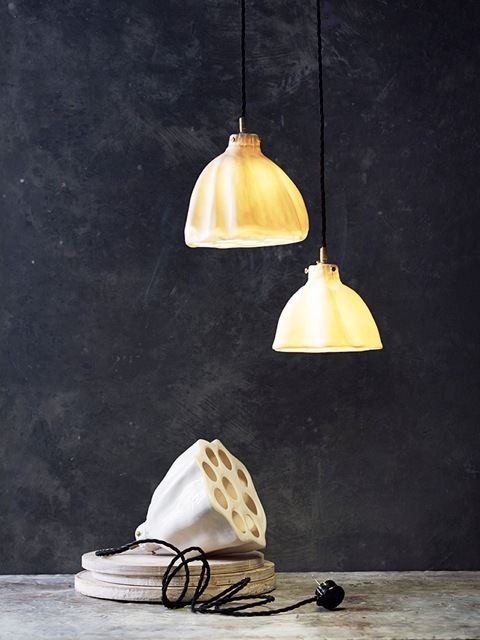 The podcasts comprise brass fittings and twisted fabric flex and use LED bulbs. All lights are certified by a qualified electrician. Photo courtesy of Chris Chen. Styling by Vanessa Austin.